PROCTORVILLE, Ohio — A local star of the small screen and gridiron will trade his life as a Dragon to become a Knight. HUNTINGTON, W.Va. – Marshall football coach Doc Holliday announced Wednesday that Todd Goebbel will return to the Thundering Herd staff as the team’s tight ends coach and recruiting coordinator. 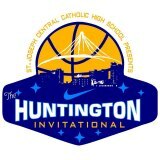 The Huntington Invitational returns to the Big Sandy Superstore Arena January 28-31, highlighting middle school and high school girls and boys basketball teams from across our region. 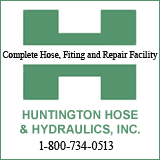 HUNTINGTON, W.Va. - Marshall Received Balanced Production with four Scorers in Double Figures Saturday, and the Thundering Herd ITS Losing streak ended with a 78-71 Conference USA Men's Basketball victory over UTEP before a Crowd of 5,302 at the Henderson Center. HUNTINGTON, W.Va. – Marshall’s superb 2014 football season received more recognition today, when the Thundering Herd (13-1) finished 22nd in the Amway USA Today Coaches Poll and 23rd in the Associated Press Top 25. HUNTINGTON, W.Va. – Marshall football will see two of its top stars participate in a pair of all-star games later this month.